Back before chemicals and factories were the norm, cleaning products were composed mostly of household items for a natural, pure and wholesome cleaning effect. Nowadays, with women so busy working and taking care of family, grabbing a bottle of something store bought may be easier; but women today also realise and recognise the importance of all natural cleaning products for their household as well as their families. · Vinegar has many uses other than just dressing salads. For cleaning purposes, vinegar is one of the best known and best loved old-fashioned household products for cleaning and shining mirrors and glass. Measure 2 cups of water and ½ cup of white vinegar and mix in a large bucket. Grab some old newspaper, scrunch it up, and dunk the newspaper in the bucket full of mixture. Go at your windows and mirrors like there is no tomorrow. You will receive a streak-free shine every time and using newspaper offers the benefit of no leftover paper towel lint. · Vinegar is also an old staple outside the home as well. It can be mixed with dishwashing liquid and placed in a clean, empty spray bottle so that you can spray the weeds in cracks and crevices around the outside of your house. The vinegar causes the weeds to die off and the soap assists the vinegar in adhering to the weeds. · Pouring vinegar down the drain once a month will shine and sanitize your sink pipes. · Bicarbonate soda has many uses and one of the most common is to deodorise your refrigerator. Place an open box of bicarb soda (small box will do) in the back of your refrigerator and this will absorb odours, giving your refrigerator a clean, fresh scent. 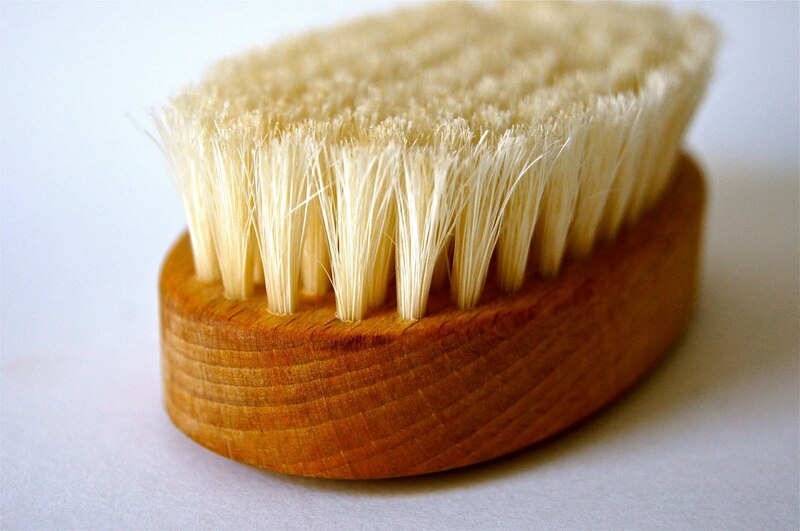 · Bicarb soda mixed with water and used with a scrubbing brush makes an excellent paste for scrubbing away soap scum from your tub and tiles. · You can also add lavender sprigs or lemon oil as well as dishwashing liquid to bicarb soda to create a nice smelling, all-purpose cleaner. Always spot test an area before using anything, whether store bought or naturally made, on fabrics, carpets, clothing and painted surfaces. · Placing bicarb soda in a burnt pot or pan with water and bringing to a boil can assist in dissolving burnt on food. While vinegar, bicarb soda, lemons and sprigs of lavender are earth friendly and non-toxic, they also add the additional benefit of being cost effective. Being able to save money while saving the planet by using these items is a win/win situation for your home, family, the environment, and your purse as well.